Lilly came in with her brand new baby sister to have some photos together. 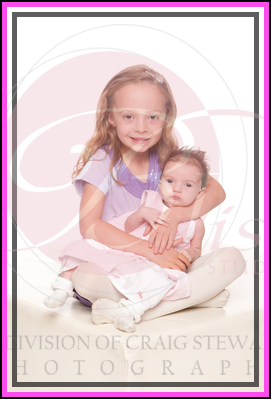 Children photography is always made even more special when you see the care that Lilly took when holding Gracie. 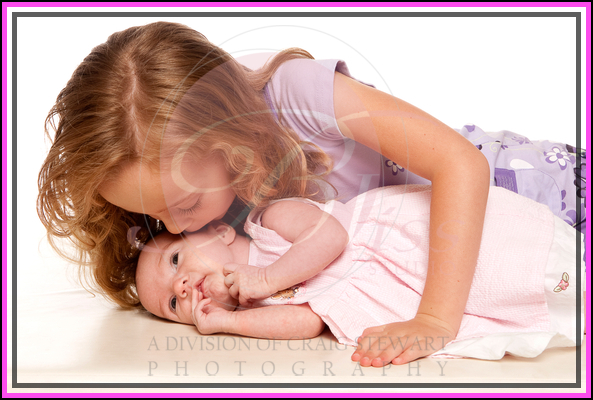 She is very proud to be a big sister and did a fabulous job helping out during the portrait session. The sweet little kiss on the cheek in the photograph below is one of my favourite. I think Gracie is going to be a very lucky little girl to have a protector like Lilly. 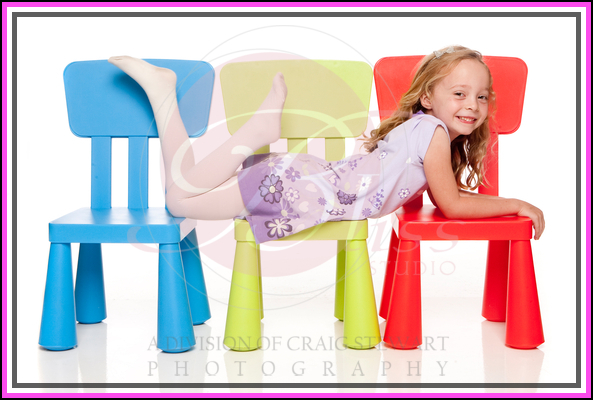 Lilly got her chance to have some fun on our chairs during the portrait session and with her long flowing blond hair she looks gorgeous. Gracie just seemed content as many newborn babies are during the photography session to be laid wherever and gurgle happily. I hope we get the chance to continually watch Lilly and Gracie’s development and would love to see you in again for more family photography when Gracie is up and moving about. Having a portrait studio is a great opportunity to develop ongoing relationships with families and before we know it we have other members of the family joining us for a photography session. It makes this job very rewarding.